A dispute over pay and conditions has broken out at a world famous Moray food producer. 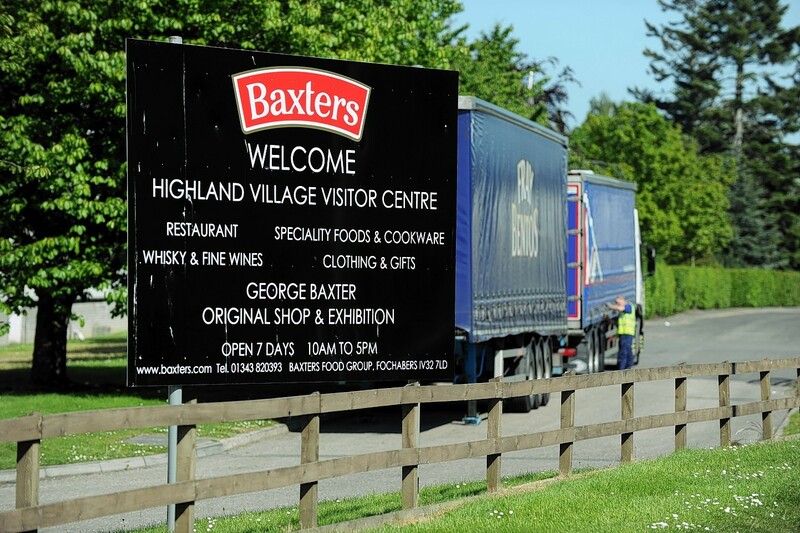 Security guards were out in force at the Baxters plant in Fochabers yesterday as workers met as part of an ongoing consultation process over staff members and shift rotation. A source, who did not want to be named, said that on Friday the soup staff had a three-hour walk-out because they are fed up of being pressurised and bullied into accepting new working conditions. The source said: “A couple of weeks ago they were told that after Christmas their pay grades are going to change and they are going to lose their shift allowance. The source added that staff were informed they will get their 12 weeks notice and then after Christmas the changes will kick in. Baxters own several shops across Scotland including branches at the Ocean Terminal, Edinburgh, Tullibardine in Perthshire and Selkirk in the Borders. The Fochabers-based business is famed for its soups, sauces and jams. The family firm was named the 10th oldest in Scotland last year, with a history dating back to a grocery shop opened by founder, George Baxter, in 1868. The company, which produces a variety of preserves and sauces, went into the soup-making business in 1952 when Gordon Baxter, grandson of George, tasted a dish of chicken gumbo made by his wife, Ena. The recipe impressed Mr Baxter so much he decided to start selling soup, marking the beginning of the company’s production of its world-famous varieties.